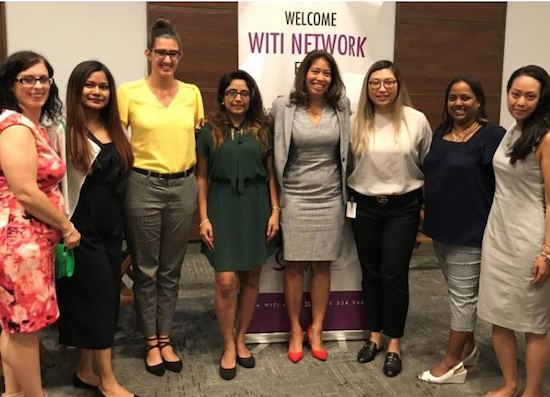 On July 10th, 2018, I attended the Women in Technology International (WITI) event where we all had the pleasure of watching Lisa Ricciardelli speak on a panel of inspiring women in leadership. The topic of the evening was mentorship and advocacy. How do you join a mentorship or sponsorship program? Seek mentors and sponsors—you don't need a formal program. Don't wait for the right time to seek a sponsor; every day is the right day. Master your elevator speech, and get comfortable promoting and speaking about yourself. Reach out for a mentor you have a personal connection with—you can get them to respond by being specific about your agenda and ask for a specific amount of time. Don't choose strangers or LinkedIn—you can't always tell how receptive they will be. Leverage people you meet at work or networking events. 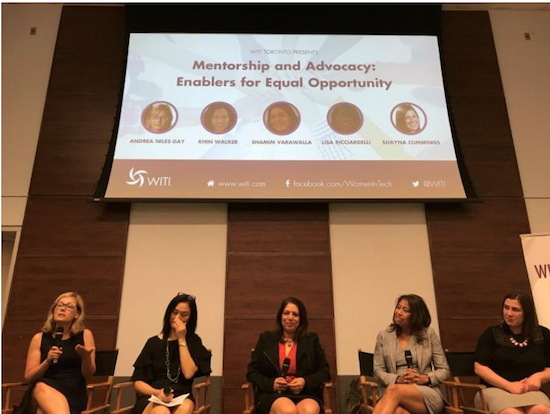 What do you do if you're not advancing in your career with a mentor and sponsor? If you find that you're not getting the advancement that you're looking for, seek feedback. Create a personal board of directors for mentorship, and think about what you want to emulate and how you want to be perceived. Look for a mentor who compliments your skill set. How do you contribute to gender diversity in technology? Talk to young children about technology and educate them—if they're not interested, find ways that technology fits into their interests so they can relate and gain interest (ex. young girls who are into fashion design can explore fashion design programs or leverage apps focused on fashion, such as Pinterest). "Be the person you needed when you were younger"—Andrea Niles-Day, director of project governance and performance measurement for RBC Capital Markets. "Do things outside of your comfort zone"—Khin Walker, assistant vice president of digital delivery with Sun Life Financial. "Be bold and don't be afraid"—Shamim Varawalla, director and PMO head for capital markets and enterprise risk technology with Bank of Montreal. "Know your brand, and live by it daily"—Lisa Ricciardelli, senior portfolio director of Scotiabank. "When you get to the top, help someone who is in your old shoes"—Shayna Cummings, software engineer at Pluralsight. If you have any other advice for women in technology, let me know in the comments below. I would love to hear about how we can work together to support diversity here at Scotiabank! If you're interested in events like this at the bank, follow ignITe! Gender Diversity and keep an eye out for the Events Calendar each month! Scotiabank offers personal and commercial banking, wealth management and private banking, corporate and investment banking, and capital markets through their global team of approximately 90,000 Scotiabankers.